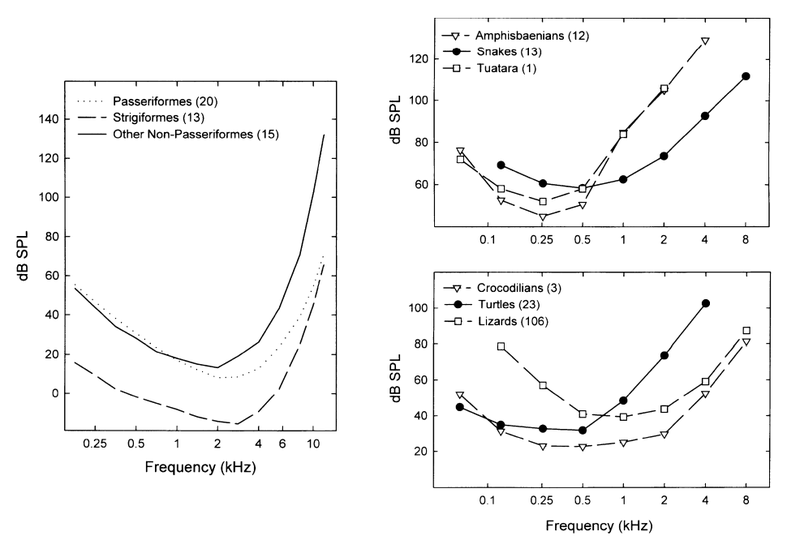 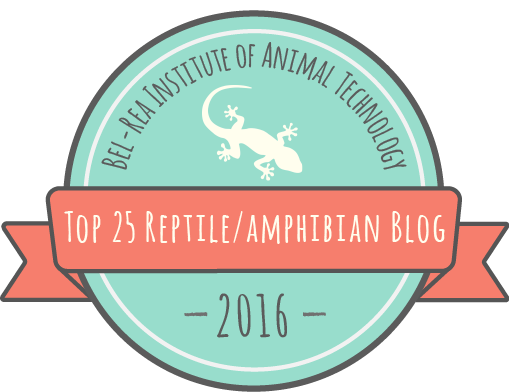 Do you know if there is a way for the columella to be "uncoupled" from the quadrate when a snake is feeding? 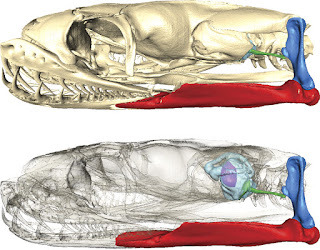 I would think that the movement of the jaws during ingestion of prey must set up a tremendous racket unless the columella didn't move as the quadrate. 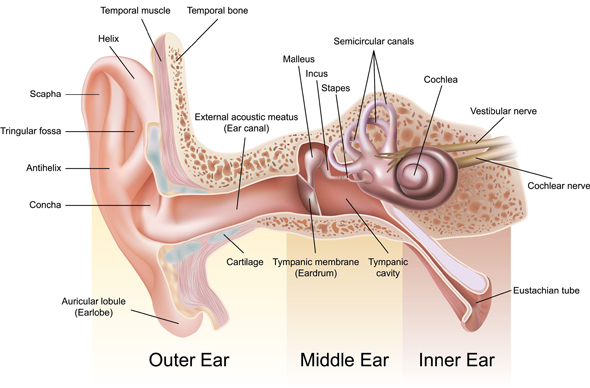 In humans the stapedial muscle pulls the stapes away from the inner ear while we are chewing our food, otherwise the sound would be deafening. Wow, great question Dale. 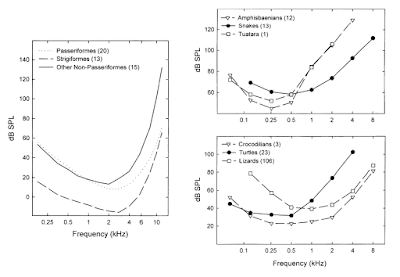 It does seem likely that there is some sound-dampening mechanism during feeding, but I've been unable to find any research explicitly addressing the topic. 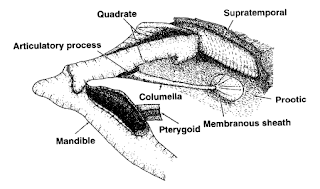 The best I can find is that the connection between the quadrate and the columella is loose, and the quadrate is surrounded by muscles that move it during feeding. It's possible that some of these muscles move the columella away from the quadrate during feeding, but it doesn't seem that anyone's looked. You can see a 3-D model of a snake skull at rest here, but it can't be manipulated to show how the bones move during feeding.